There are several rules that are often quoted to support the myth of universal beauty. Symmetry, it is often argued, provides us with the ideal standard. Historically, a face that typifies the perfect proportions of the perfect heart shape is believed to be one of the most aesthetically appealing. High cheekbones, a slim face and a dainty jawline and chin are then the gold standard to which we all aspire, according to some beauty experts. Indeed, since Ancient Greece, the golden ratio – or phi – is believed to have held the key to true beauty, typically the length of the head (top of the head to the chin) divided by the width should equal 1.618. 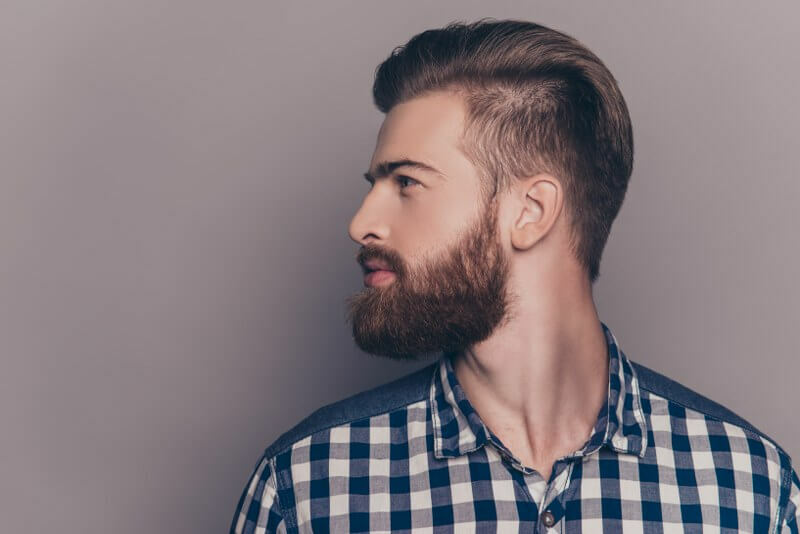 Non-surgical treatment can recreate the same sought-after appearance of those perfect ratios – and for men, they can redefine their jaws and cheekbones to give them a more chiselled appearance. But, when it comes to enhancing our appearance with non-surgical aesthetic treatments, it is as much to do with how they make us feel as how we look. This fresh approach to refreshing our looks with cosmetic procedures lies at the heart of how we can best achieve the optimum results to suit you. Essentially, beauty comes from within. Each one of us has a unique profile that can be enhanced and it is this approach to treatments that opens our minds to healthy aesthetic treatment choices. Once considered the preserve of the rich and famous, aesthetic treatments are now much more accessible and affordable, with the rise of non-invasive aesthetic procedures seemingly unstoppable. Our desire for less invasive procedures is reflected in the number of us turning our backs on the doors of plastic surgeons in a move to seek more natural results. Designed to respond to modern client needs for an early return to normal working life after the procedure, non-invasive techniques can be done under local anaesthesia with lower risks and far less down time. The ‘new’ you can be created in as little time as a lunch break – with immediate results and next to no recovery time. However, it takes time to choose the ideal medical practitioner. It is important that you are well informed and have your expectations well managed by your chosen practitioner. Although the benefits of anti-ageing treatments can be immense in restoring confidence and promoting a general sense of wellbeing, many have the potential to cause serious side effects, which is why it is also important to seek a practitioner who has medical training and experience in delivering your chosen treatment. An in-depth consultation is essential. A trusted practitioner will take a medical history and discuss all your options with you, along with the consent procedure, pricing and the ‘cooling off’ period should you change your mind. Lines are often blurred between marketing and impartial, independent advice, which is why we suggest you use a government-approved register. At Intrigue Cosmetic Clinic, we aim to help you recapture a more youthful and enhance your natural appearance, creating the best version of you to boost self-confidence because renewed confidence in our appearance has an important part to play in successful aesthetic outcomes. Most importantly, those treatments we offer have excellent safety profiles due to years of in-depth clinical research, trialling and global use. Our clinic is a Save Face accredited practitioner, which means we are on a national register of trusted clinics that provide non-surgical cosmetic treatments safely. The register is accredited by the Professional Standards Authority for Health and Social Care and is recognised by the government, the Department of Health, NHS England and the Care Quality Commission.